There are many cool and creative pet dog accessories on the market and we have compiled a list of 10 products that we think are the best. Check them out and see if you agree with our list. Wait until you throw one of these new balls for Fido! Bounce, fetch, treat – we’ve done it all. Tails will be wagging uncontrollably and excitement will be high. Just choose your favorite color and watch your dog grin. collar was designed with you in mind and used top quality components. This safety LED glowing dog collar is weatherproof, shock-resistant and lightweight, ideal for the active dog. 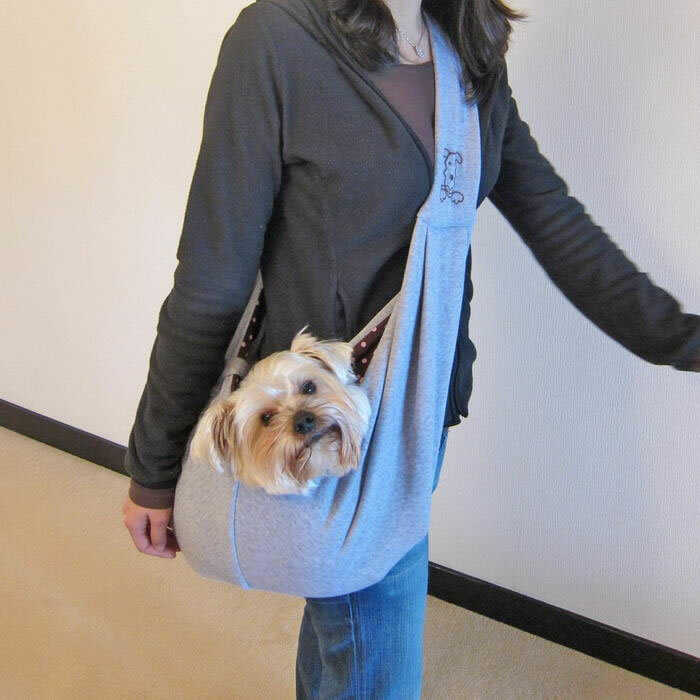 This reversible sling dog carriers are the perfect combination of convenience and style. Convenient sling-style carrier loops over shoulder while the pet rests in the pouch on the opposite hip to keep pet secure and comfortable. Features safety collar hook for extra security. Its hands-free design is perfect for everyday walk and weekend adventure. Chic reversible design with one side in blue, grey, or pink and other side in stylish brown with pink polka-dot. Pet lovers will adore these reversible sling pet carriers. For the pooch with a good sense of humor; this shiny black toy is a ball on one end and a giant cartoon mustache on the other. Dogs naturally pick up the ball leaving an outrageously funny mustache sticking out! Dogs also love to hold the ball in their mouth and shake the mustache back and forth! Bark4Beer Dog Collar is a retractable bottle opener and dog collar in one. That’s right, a bottle opener and dog collar in one. That means, no more searching for a bottle opener around your house, or at a pool party, bbq, or even at the beach – just call over your favorite four-legged friend. Add “fetch me a beer” to your dog’s bag of tricks. The Duckbill dog muzzle is suitable for most smaller dogs but has an adjustable strap to fit most dogs noses. 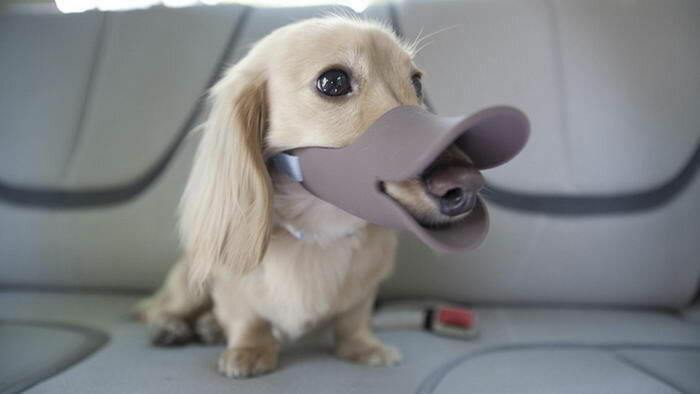 The quack muzzle is made from 100% environmentally friendly silica gel, and is great preventative to barking, biting, licking wounds, or eating random things out in the yard. The Giant Tongue Dog Toy is made out of solid rubber and has a ball on one end, and a giant tongue on the other. The giant tongue is great for playing fetch, tug of war, or just to make your dog look like a fool. The WaterDog automatic outdoor pet drinking fountain lets your dog help itself to fresh water, so you don’t have to worry about stagnant or empty water bowls. WaterDog senses your dog’s approach, and automatically dispenses a cool, clean stream of fresh drinking water. Dog Camera Mount’s MUTT MOUNT has a built in GoPro style mounting system offering dog enthusiasts a great way to shoot incredible video while hunting, service training, dock diving, hiking, adoption footage, or just a day with your best bud in addition to keeping your hands free. Provide a continuous flow of drinking water to your dog even when you are busy with the help of the API Doggie Fountain F-1. Most devices are uncomfortable, unhygienic or just boring. This fountain deals with all these problems in style. The fountain is easy to use for your pets. All they need to do is press on the paw design of the pad for a gentle stream of clean water. Do you know of any other creative pet dog accessories?